This stitch sampler is 15 inches long. 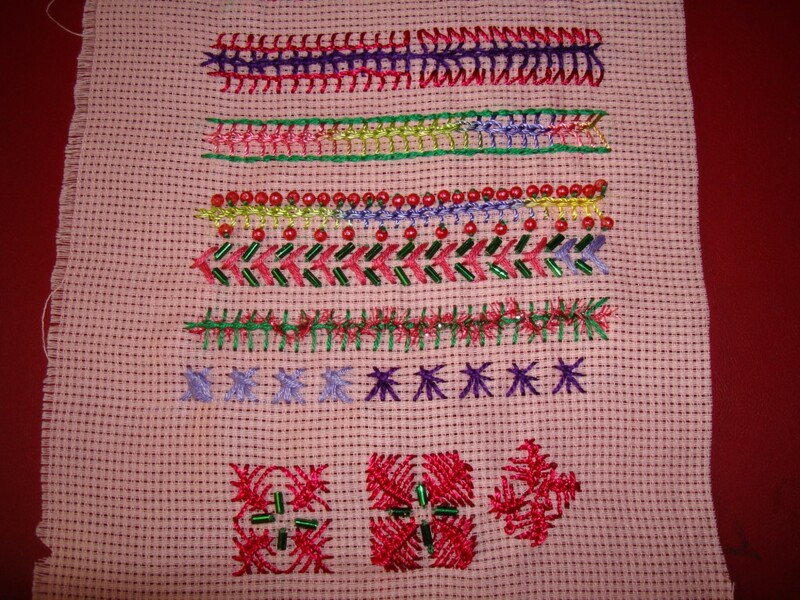 This is the 25th week stitch of the stitch challenge TAST2010 by Sharon.B. 7a.continous beads on top and alternate beads at the bottom, two variations tried in one row.Hurray! 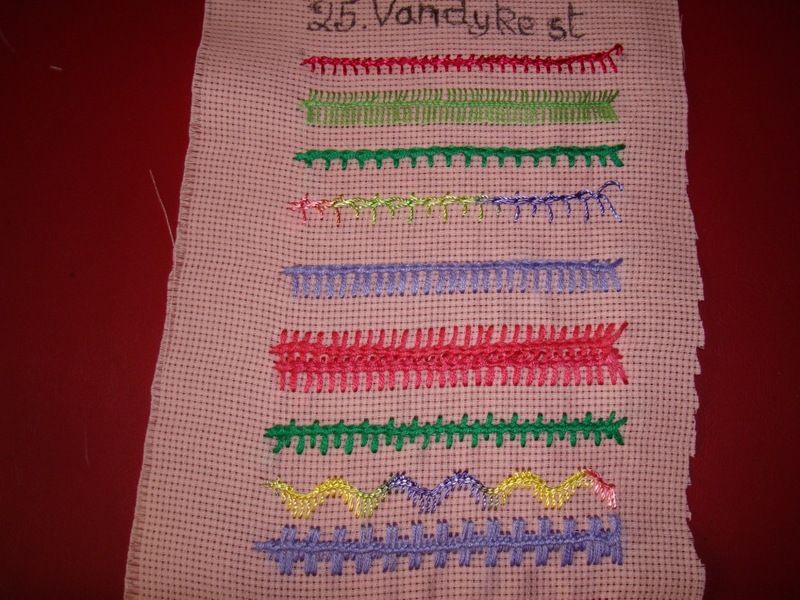 7b.Individual Vandyke stitches intercepted with bugle beads. 7c. the stitches are laced with rimjim thread. 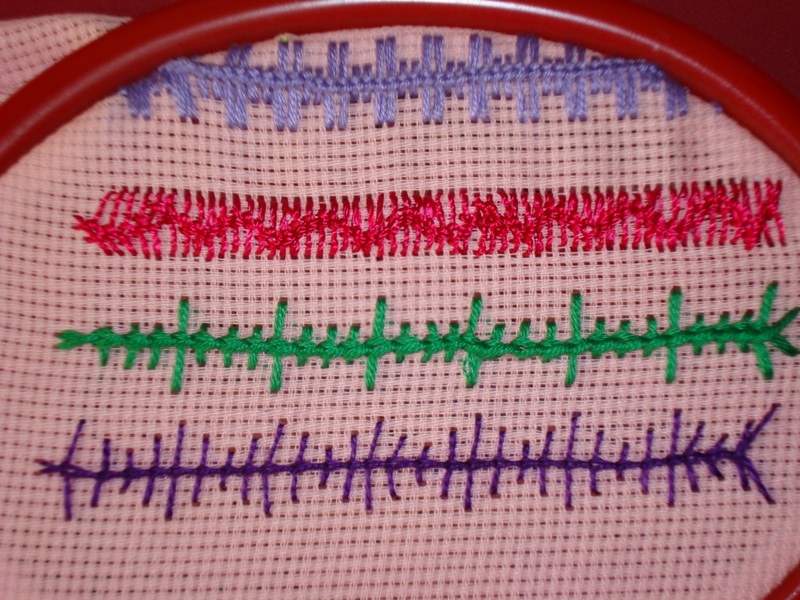 7d.three Vandyke stitches done diagonally.they are not done properly ,maybe Iam getting tired. 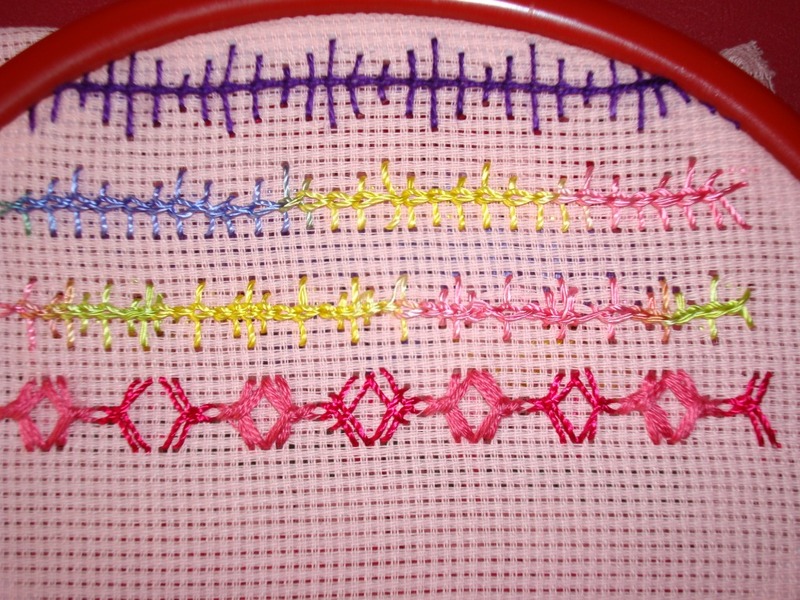 7e.some more variations with diagonally done Vandyke stitches. 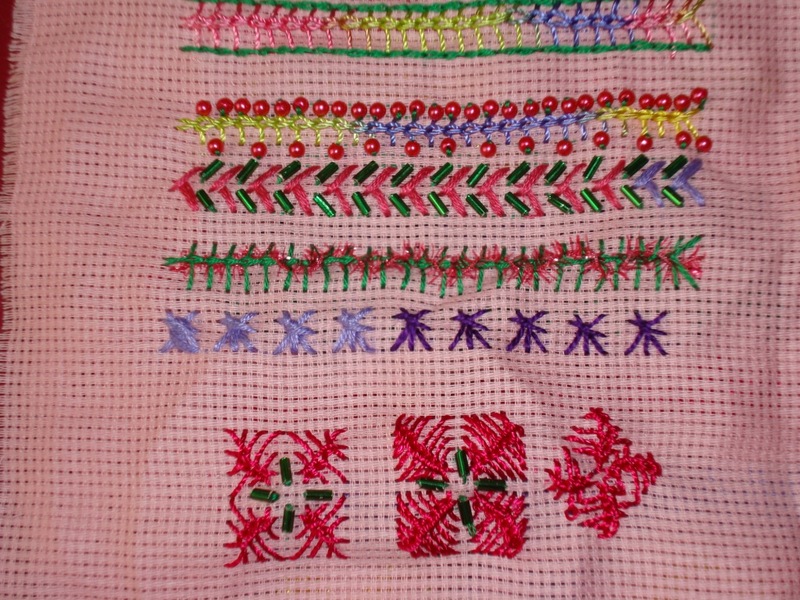 With these I have finished my expeiments with Vandyke stitches . 6a.First a row of Vandyke stitches in green, over them a row of Vandyke stitches in between them in pink. 6b.the Vandyke stitches are ambellished with buttonhole, and another stitch[the name is not coming to the mind now!] these relapses happen! 6c. 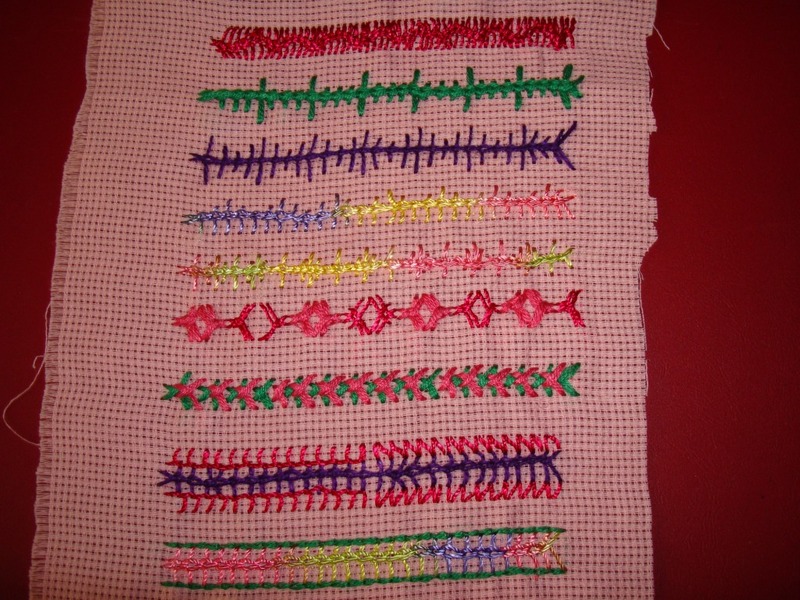 here the Vandyke stitches are paired with chain stitches. Last set of variations to come. 5a. I varied the height only on the top, in this row. 5b.Another variation is done, writing about this sequence would be very long! 5c.two Vandyke stitches are facing each other, and in two different threads too. 4b. 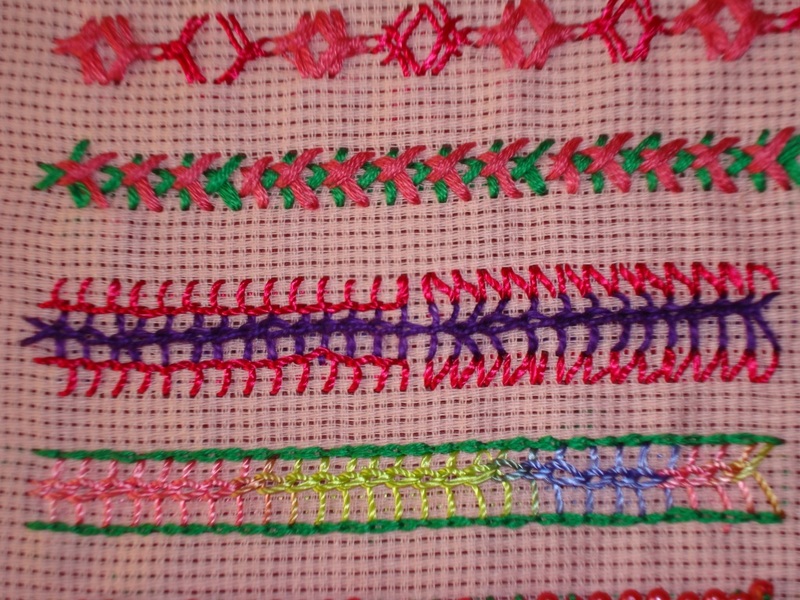 A row of three small stitches and one long stitch. 4c. Vandyke stitches are of varying heights. If beads are added In these three variations, they’ll look great. A few more variations to go.